We’ve written at length about how to find a wedding stylist. But the short version is this: start by checking our Vendor Directory, talking to your own stylist, or asking friends for a referral. Most stylists require a trial in order to book your wedding. While at first this may totally seem like one of those WIC moments and like something you don’t need, it absolutely is a must. This is as much for you as it is for your stylist. While it gives them a chance get a feel for your hair, it gives you a chance to get to know someone who is going to be with you at a potentially stressful time. You want someone you feel comfortable with and someone who will be able to stay calm and professional. At your trial, bring your stylist a few options of things you like, and think about why you like those looks. Is it the curls, the colors, the accessories? Keep in mind the neckline of your dress and any jewelry you plan on wearing, along with your veil or other headpiece if you will have one. Even the very best stylists can’t replicate a style exactly: your hair is not the same as the person in the picture. Your stylist will create a style that works for you and your hair, which in the end will be a far more successful style than a bad copy of Pinterest. 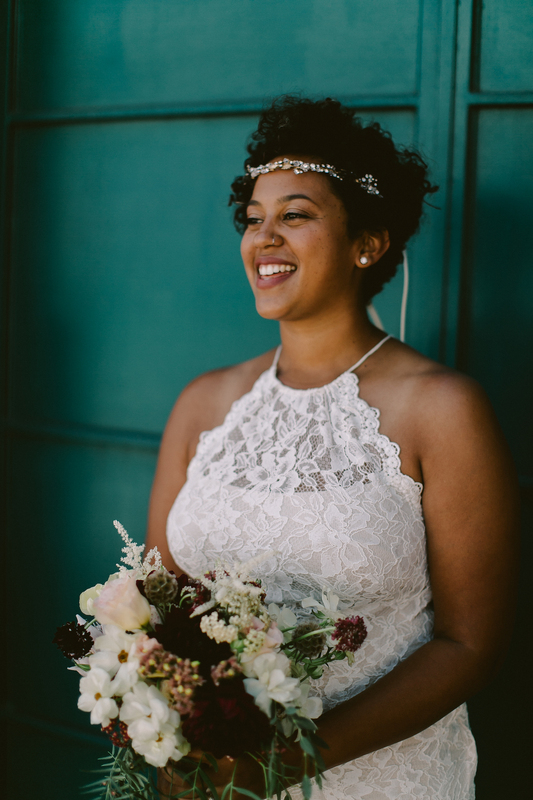 To help you in your search for wedding hairstyles that are going to work for you, we’ve rounded up our favorite hairstyles for short, medium to long, and curly hair, for all types of textures and thicknesses. Calling all undercuts, pixies, bobs, and lobs! Short doesn’t mean boring, not for one second. While it can feel like it’ll be hard to make it feel different from your everyday hair, keep in mind you’re going to be all spiffed up wearing a killer outfit—this isn’t a normal day. Pro-tip: Adding an accessory is the best-kept secret in bridal hair. It helps the style feel elevated and finished. Or go with a bold eye or lip to bring your look up a few notches. 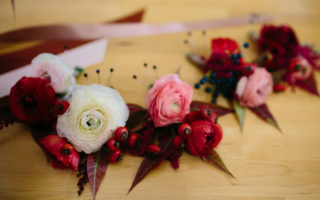 Check out our post on wedding hair accessories for short hair. Hey there #longhairdontcare ladies—real talk, your hair doesn’t need to be down to the floor in order to have an amazing updo. In fact, having medium-length hair typically is one of the best lengths for updos. Sometimes if hair is really long, it can hard to achieve the tousled, romantic looks we’ve come to love. Check with your stylist a few months before your wedding to see if you need a trim or layers to get the look you want. Braids and twists are the perfect way to add dimension to your style and they look great in photos. Looking to learn how to braid your own hair too? Check out this post for the best tips on braiding hair. Where my curly girls at? Rock what nature gave ya for a wedding hairstyle that is uniquely you. Real talk, I’ve spent most of my life trying to avoid my curls, while obsessing over curly styles (isn’t that always how it works? #curlenvy), so I’m always so excited to see brides showing off their natural textures on their wedding day. If you have certain products that your curls loooove definitely bring those along for your stylist. 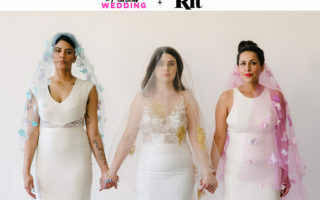 Find a stylist who is comfortable working with varied textures so you and your wedding squad will all feel their best. Looking for a new DIY style? Try this edgy updo for curly hair or figure out how to finally get smooth curls. And if that’s not enough, check out this post for more curly wedding hairstyles. Need more wedding hairstyles inspo? Check out updos for medium to long hair, and bridesmaid styles your friends will love. Looking to try your hand at styling? Look at these wedding hairstyle how-tos: vintage updo, gold leaf pixie, finger waves, and half up/half down.